Sept. 7, 2011, 4 p.m.
MediaNews and Journal Register appear headed to marriage. How many other newspaper companies are ready to walk down the aisle? By Ken Doctor @kdoctor Sept. 7, 2011, 4 p.m.
What seemed inevitable (“The newsonomics of roll-up“) has now begun. 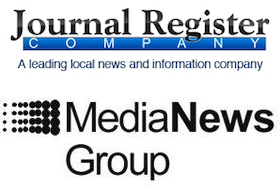 Alden Global Capital, now an even bigger player on the U.S. news scene, did the behind-the-scenes work necessary to pull off a combo of Journal Register Company and MediaNews Group. I say combo in the non-legal sense, as we all try to make immediate sense of the governance changes in this not-quite-a-merger. Suffice it to say, for the moment, with a common CEO, John Paton, MediaNews and Journal Register are now effectively headed toward combination. Today’s move may mark just the beginning of a local newspaper roll-up, resulting in the United States’ first truly national local news(paper) company. There’s a long way to go to get there; newspapers have always been a less-consolidated industry. From a journalism point of view, that means choosing the value of local ownership and direction over the possible efficiencies of national reach; from a business point of view — say, Alden’s — it’s a splintered industry whose bottom lines can be significantly improved by applying the same roll-up thinking of a soft drink company, or a car manufacturer. Digital First Media, the new company that will manage both chains, is hanging its digital shingle — no doubt using low-voltage power, befitting the frugality of its CEO Paton. Digital First is a fair name — and meant to establish its current-millennium cred. No Tribunes, Posts, or Registers in that name. It’s another way of saying: The newspaper is dead; long live the news. CEO John Paton is logical. That’s one of his greatest strengths. He does the analysis of what’s wrong with old business, what the new one requires and starts connecting the dots. He did that Impremedia and he’s advised the new Canadian company, PostMedia, on it as well. Numerous others in the industry are doing parts of that; Paton is doing it faster and with less nostalgia. He’s more Vulcan than most in the industry. A year and a half ago, he told me how he planned to cut a substantial percentage out of the old, legacy print business within three years, and he recently said he’s more than halfway there. That determination is what landed him Alden’s top publishing job. Just a few months ago, Alden, a global private equity company, bought the parts of Journal Register it didn’t own. That was a headscratcher for some, but it now seems like a natural prologue for ComboCo. Does Alden Capital know something that other newspaper publishers don’t? Why is it seemingly upping its ante in an industry that has now suffered more than five years of no ad growth? I don’t think Alden’s found the formula. It does know that its properties, many bought dirt cheap, may become significantly more valuable if they can get on the other side of the digital divide, that magic time where sustainable, even small, profits are driven by digital, as the print business continues to wind down. The clock is Alden’s — and John Paton’s — big problem. The print business is winding down even faster than they thought it would, and those transition economics are tough. Still, for Alden with more than $2.5 billion in assets, this is a small play. If it doesn’t work, it’s chump change. If it does, and Alden can exit with a little profit, it could be quite an adventure. The first thing you can do to save money when you put companies together is to whack corporate overhead. Visit Journal Register’s corporate HQ in suburban Yardley, Pa. (address: Lower Makefield Corporate Center, 790 Township Line Road, 3rd Floor, Yardley, PA 19067) and you may find yourself wondering if you’ve found the right office park. Hearst Tower, it’s not. 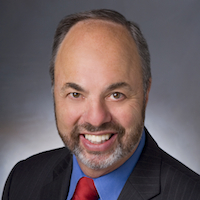 Paton will look at MediaNews corporate in Denver and at its regional operations in both the Bay Area and L.A. Expect costlier heads to roll. Virtual corporate meets virtual newsroom, if past practice is a guide. Well, maybe not first thing. Paton famously gave videocameras to JRC reporters when he took control and has built on that notion. In New Haven, I’m told, New Haven Register reporters are outproducing local TV stations in their daily video output. The Newspaper Guild may have something to say about immediate and total multi-tasking, multi-platform reporters, but do expect the same push to happen, over time. Consider Paton’s approach to business news, one that is far different than most daily operators. He divided business news into two, national/global business news — which seems to be driving the agendas of our days now — and local news. He concluded there was little reason for the New Haven Register or the Middletown Press to pretend to cover national news, or do its own wire editing, or to pay business-news wire services. He figured out that he would rather be paid to carry national business news than pay to produce it. So he did a deal with The Street, which now provides national business news content for the papers and the sites. The Street sells the related ads and pays Journal Register a revenue share, based on traffic. It’s not a lot of revenue, but it has reversed the money flow. Look for Paton to work that plan more widely and deeply, especially given the new scale of traffic under his management. What could be nationalized and partnered? Political news, sports, and entertainment all will get similar scrutiny. Expect new bargaining with the Associated Press. Journal Register is a collection of smaller community newspapers (350 products in 992 communities, by JRC count). Smaller community papers have fared better in the Internet revolution: They have more local, proprietary news and less completion for advertising. MediaNews’ revenues, though, are largely made up of big regional papers — Denver, the Bay Area, L.A., and Salt Lake, though it has 57 titles in all right now. How well will Paton’s strategies work in those cities? That’s a huge test. First big question: Will he make any adjustments to the just-announced (“The newsonomics of loss“) de-localization of MediaNews’ Bay Area newspapers. We’d think the involved parties have talked, pre-announcement, but you never know. Paton’s first big Journal Register push was a quest to use open-source technologies in publishing. It was a boast that was somewhat hyperbolic; his point, though, has been that among the big cost-cutting news companies need to do is to deal with expensive-to-buy, expensive-to-upgrade, and expensive to maintain custom publishing technologies. Look for Digital First to move to cloud technologies as fast it can. That’ll be a tougher move than Paton’s faced with JR; MediaNews has a bunch of different legacy systems. Expect just-named editor-in-chief Jim Brady (a lot of this has been in the works for months) to lead the Thunderdome publishing revolution throughout the suddenly huge company. MediaNews recently expanded its Journalism Online-partnered paywall experiments. Paton’s no agnostic here; he’s been without religion on paid content, saying there are too many free competitors for it to work for newspaper companies. Will he pull the plug on the tests, or let them run? If you add Freedom to Digital First, you add 100 properties, and on terra firma, at least, that combo would encircle the not-yet-post-bankrupt Tribune’s Los Angeles Times. Then, there’s the Platinum Equity-owned San Diego Union-Tribune, on the market as well. We’re back to big questions of the impact of media concentration (“The newsonomics of media concentration“). It’s not far-fetched to believe ComboCo could get a lot bigger. Other newspaper operators may just conclude that Digital First has the stomach to make the painful changes they have resisted and that it’s time to get out of the game, as bargain hunter Alden creates the first truly national digital-first news company. That would be a bet on Paton’s turnaround strategy which says he can create significant and sustainable digital EBITDA (earnings before interest, taxes, depreciation, and amortization) sooner than later. The Digital First mantra is the right one. Paton, Jim Brady, digital VP chief Arturo Duran, and social engagement leader Steve Buttry all have lots of deserved cred. But what are the readers getting today? That’s a question we could all use a better answer on, and one that in the long term matters most. The business stakes are one thing. What about the journalism, what readers see? We need deeper media criticism, looking at what JRC papers and sites are offering readers today, as compared to the old, bad, troglodytic days of the pre-Paton, pre-bankruptcy Journal Register Company. Are the readers, the citizens of its communities, better served? POSTED Sept. 7, 2011, 4 p.m. Doctor, Ken. "The newsonomics of ComboCo." Nieman Journalism Lab. Nieman Foundation for Journalism at Harvard, 7 Sep. 2011. Web. 23 Apr. 2019. Doctor, Ken. "The newsonomics of ComboCo." Nieman Journalism Lab. Last modified September 7, 2011. Accessed April 23, 2019. https://www.niemanlab.org/2011/09/the-newsonomics-of-comboco/.